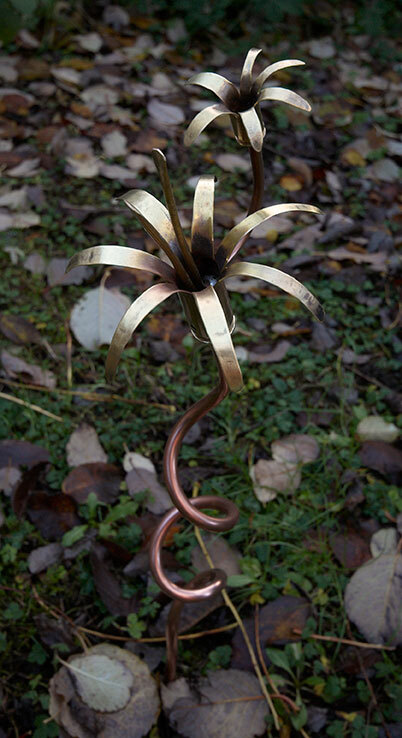 With a fake botanical name meaning literally "Garland of Brass", this piece is designed in modular form, with the intention of forming a semi-circular ring of 5 elements on the ground - but there's no reason why a single (low-cost) element cannot be displayed on it's own (outdoors or in); or why a larger work cannot be built up using additional elements. Each element is supplied with a stainless steel rod, allowing it be supported in the ground, or in a pot filled with earth or stones. 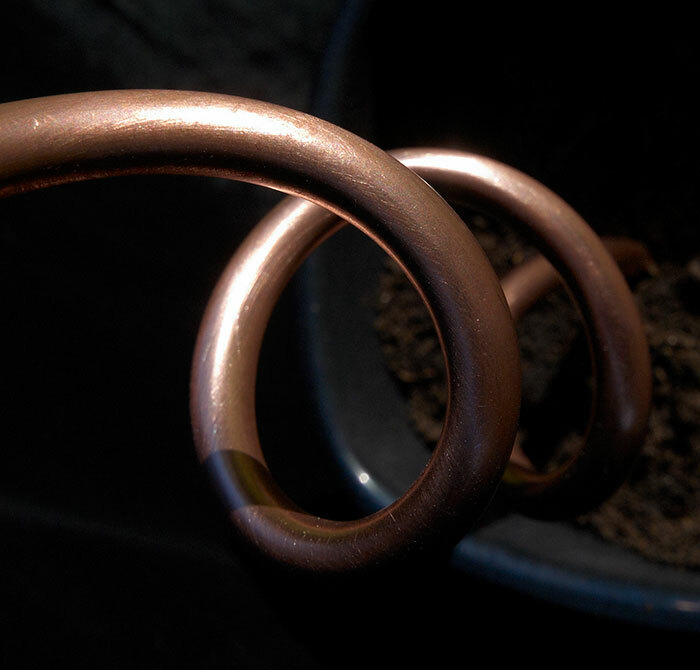 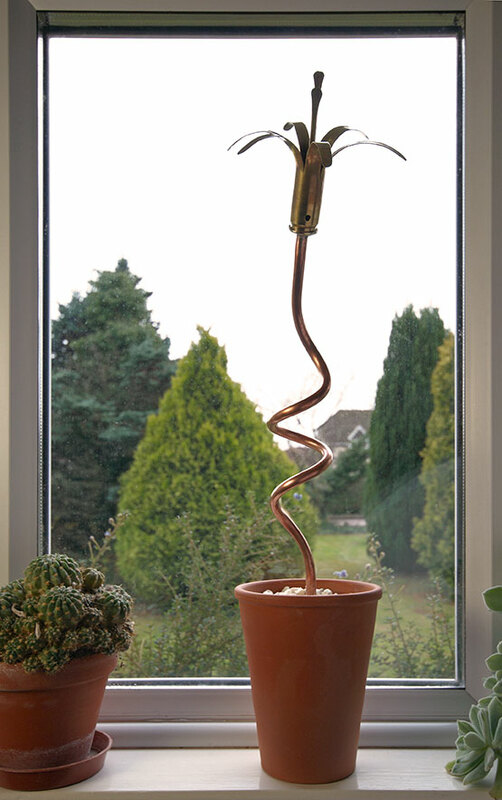 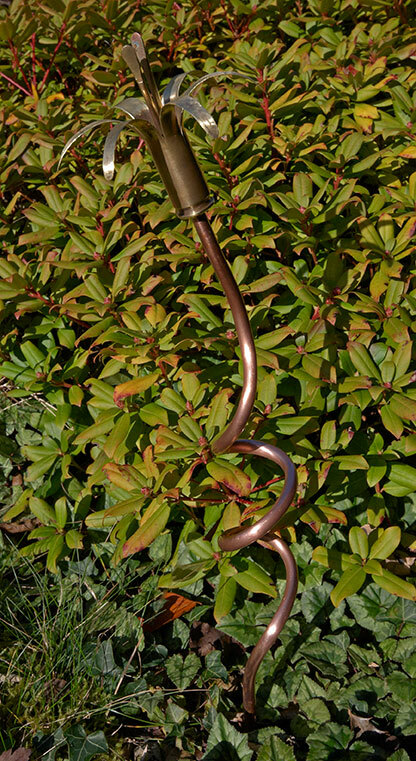 So far, there are two styles of element: a single "flower" on a twisted copper stem; and a single flower sporting a smaller "sub-flower" extending upwards and to one side. 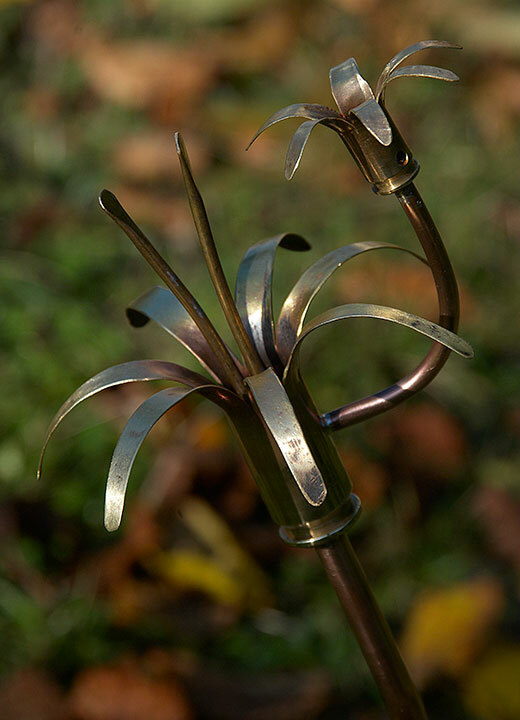 "Garlands" can be formed from any number and combination of elements, but the initial suggestion is to use 4 simple elements with a 5th sub-flower-equipped element positioned between the others. 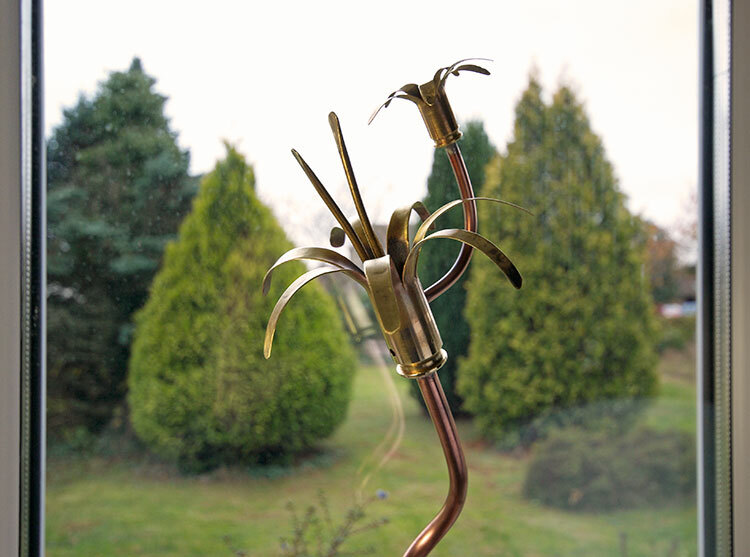 This piece has been shown at Henley Arts Trail 2014, Oxford Artweeks, Showborough House, Sir Harold Hillier Gardens, Wyndcliffe Court, and Romsey World of Water. 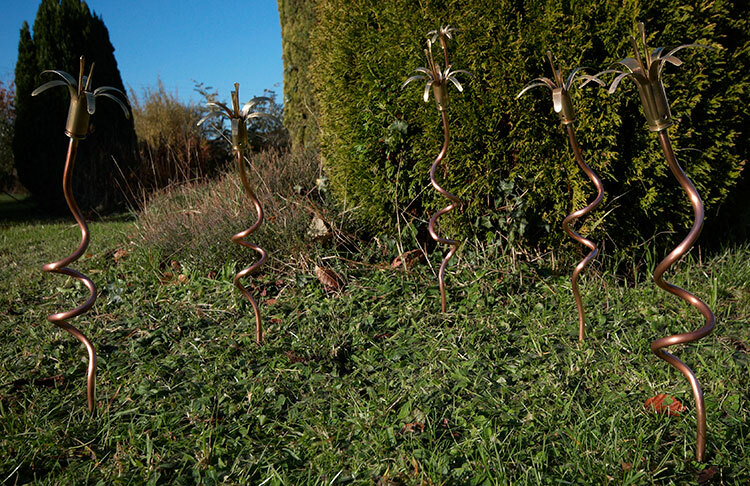 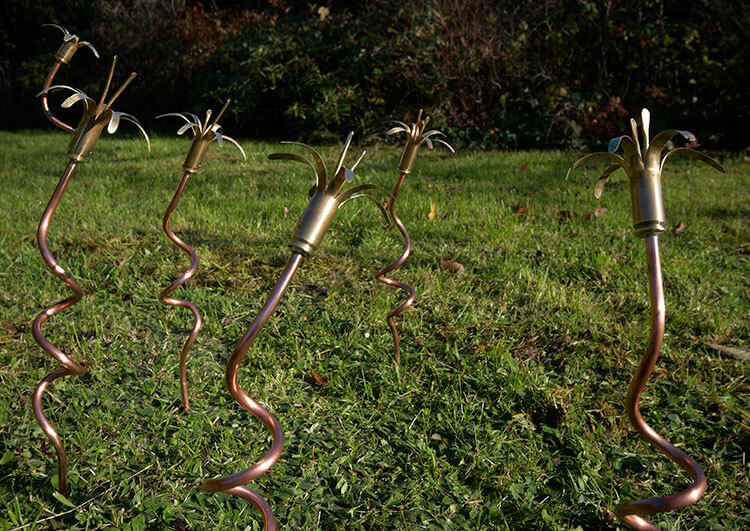 It has recently been seen at The Elemental Sculpture Park and Kiftsgate Court Gardens. 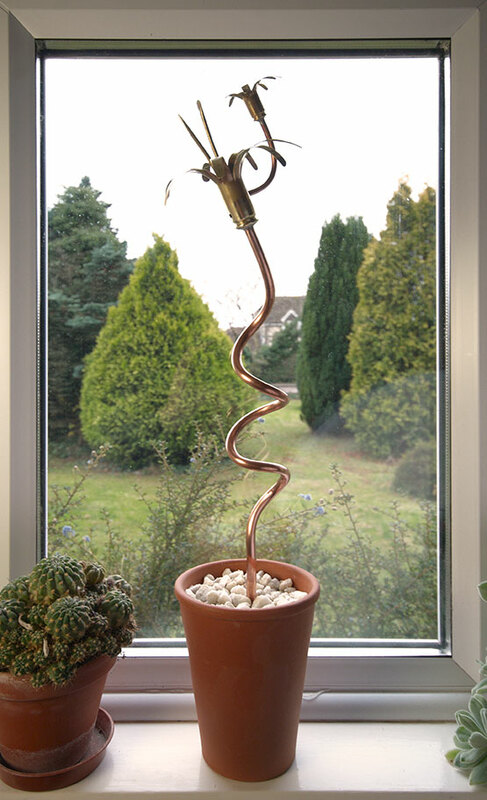 It is currently on display at Living Art, Hungerford.